This is Maketu, a small seaside village with a rich history and a vibrant community today. Over 800 years ago the first human settlers arrived in Aotearoa (New Zealand) in several great migrations from Polynesia. Each migration is named after the waka (canoe) of the commander. 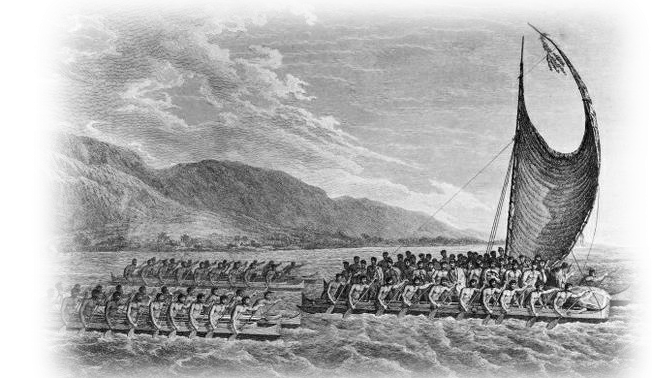 One of these canoes, the Arawa waka, under the command of Tamatekapua landed in Maketu. Since that event there has been a continuous settlement of the Te Arawa people in this village, followed by some of the first Pakeha (non-Maori) settlers in New Zealand who arrived over 250 years ago. 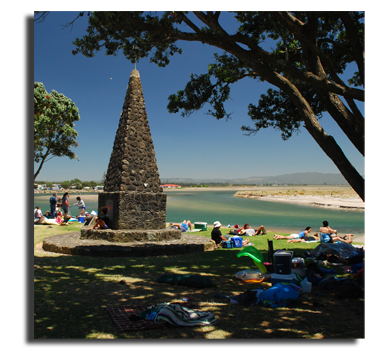 Explore this website to learn more about this place that the locals affectionately call "Magic Maketu". Visit our community and experience our history first-hand through a series of historic markers. 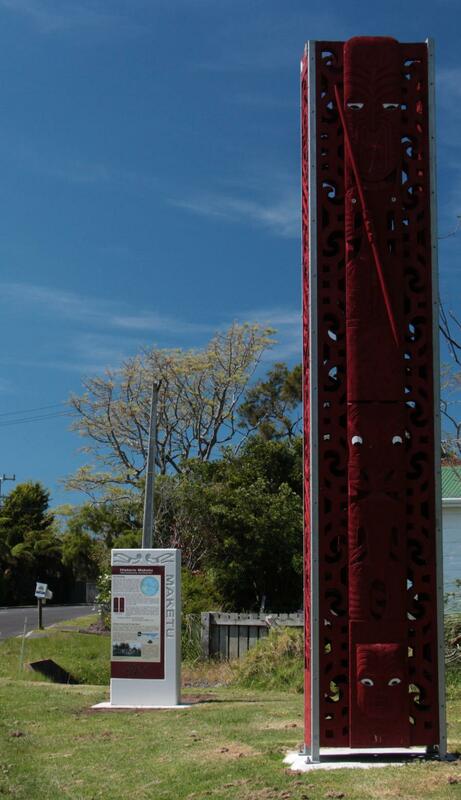 Take a leisurely hikoi (walk) through the village and stand on the very sites on which history unfolded. Each marker presents an illustrated narrative of that history. 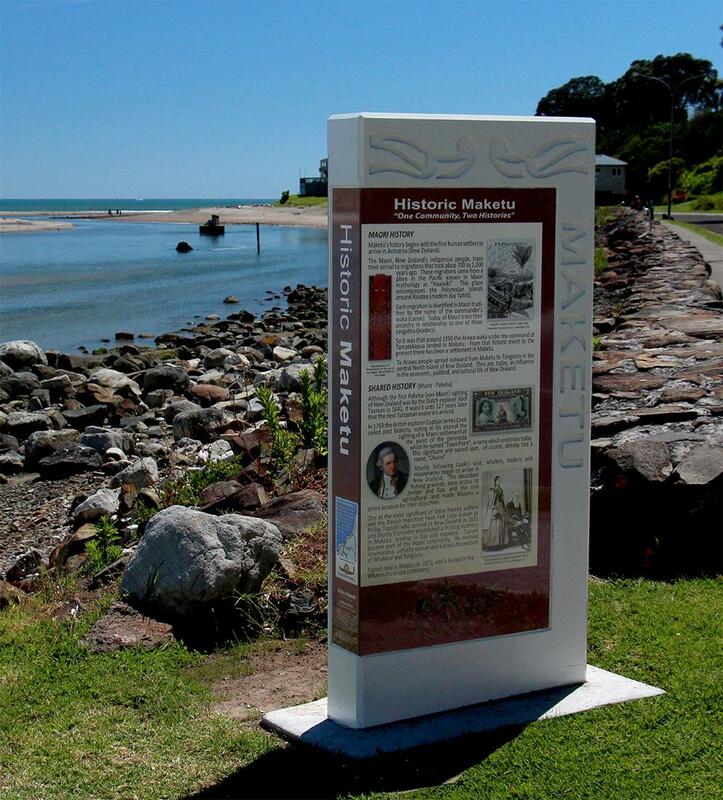 Click on the image below for a brochure of a guided walk that follows the path of the historic markers and provides additional background to Maketu's rich and colourful past.